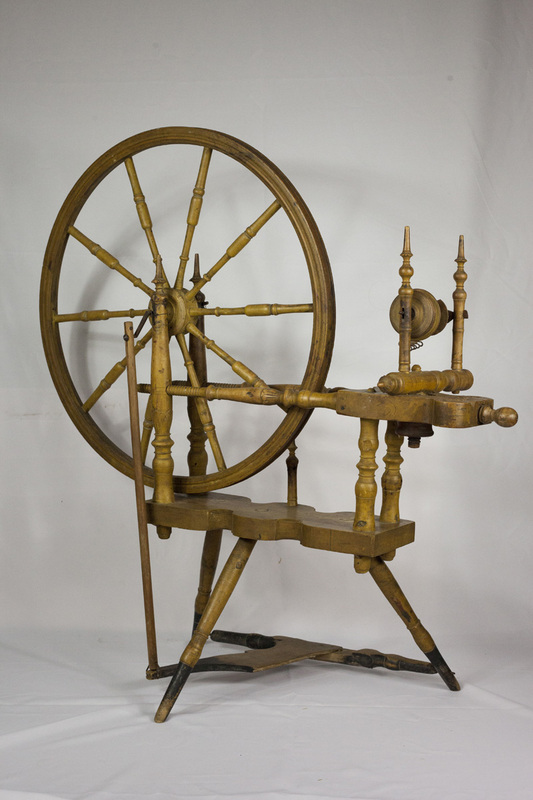 Spinning wheels were vital, if ordinary, objects that a family often brought from Norway to America. Spinning thread to make yarn was an important way that women contributed to family life during early immigrant days. Like the mangle board on display, these items were utilitarian. But by adding traditional Norwegian motifs and decorations, like the acanthus leaf carving seen here, another level of meaning is bestowed on these pieces that would become heirlooms for Norwegian-American families. Of unknown origin, this spinning wheel was acquired by Little Norway creator Isaak Dahle and displayed in the museum’s Norway Building for more than 80 years.